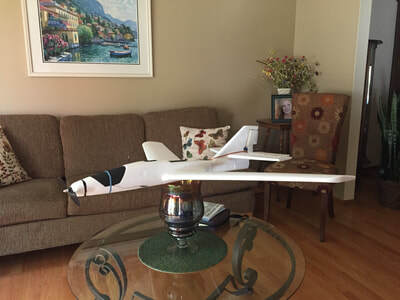 ​This project was inspired by not wanting to pay $200 for a glider at the hobby shop. 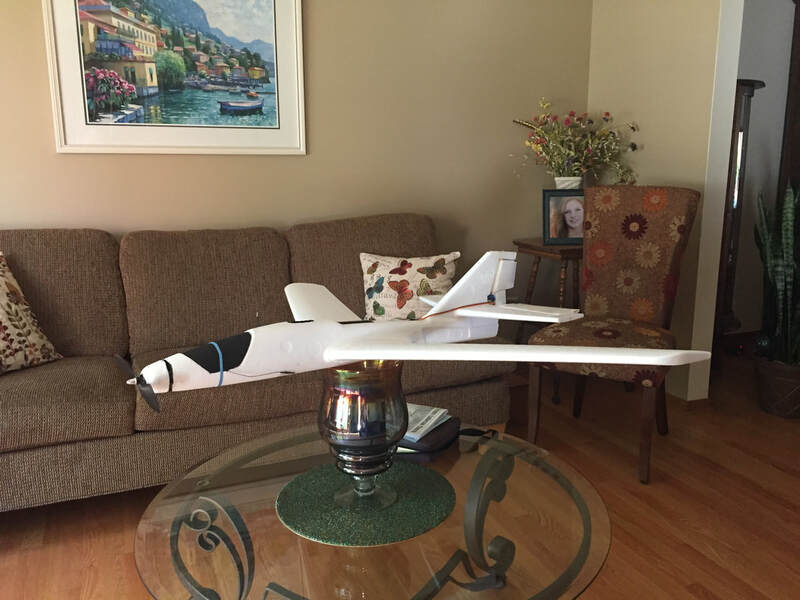 I spotted a toy foam glider at Walmart that was meant to be thrown, and picked it up to be the body for my airplane. 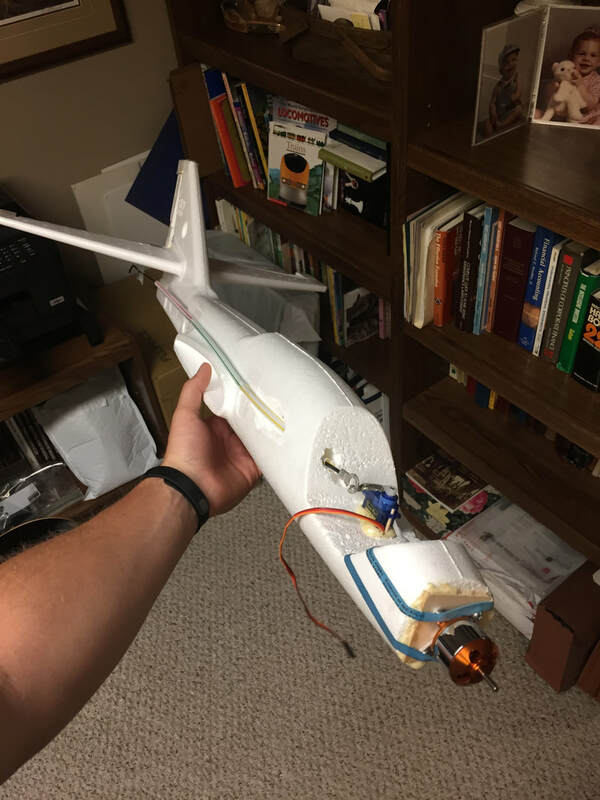 Next I purchased a multitude of servo motors, a brushless motor for the prop and a electronic speed control (ESC) to vary the speed of my throttle. To assemble I cut and hollowed out the cabin making room for peripheral electronics such as the receiver and a microcontroller to run operations. Notches were made in the tail fin to fit in a rudder that was operated by a turning servo motor. The elevator worked similarly on a joined fin that was powered by a servo with a calibrated arm movement. A wooden plate was fastened to the nose cap to create a surface to mount the brushless motor. The motor was then attached and a prop was added. 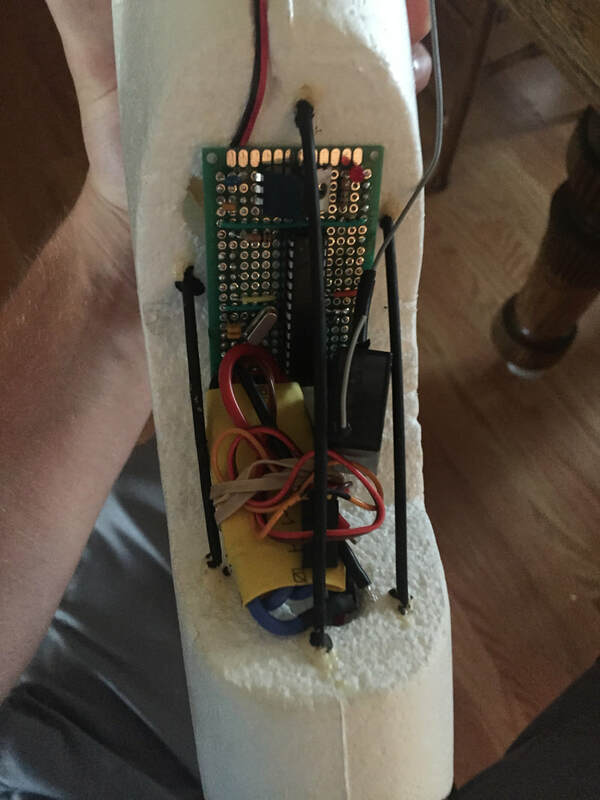 Electronics were wired to the cabin onto a piece of perforated board where the microcontroller was soldered. The receiver delivered the incoming signal to the microcontroller where the code, I wrote, decided which commands to send to the mechanical parts.